PLAIDURDAY HURRAY! 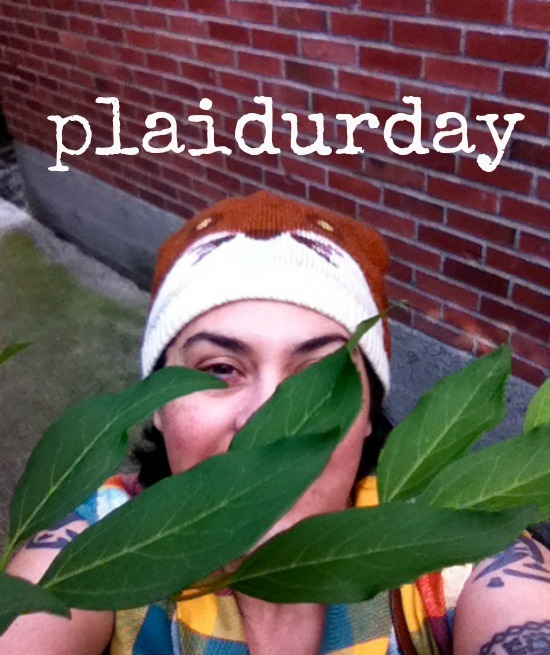 It's the fourth annual #PLAIDURDAY, and while I might be late to the (blog) party, I've been celebrating all day. Today, I celebrated plaid a bit on the casual side- I worked from home, didn't need to doll up too much. 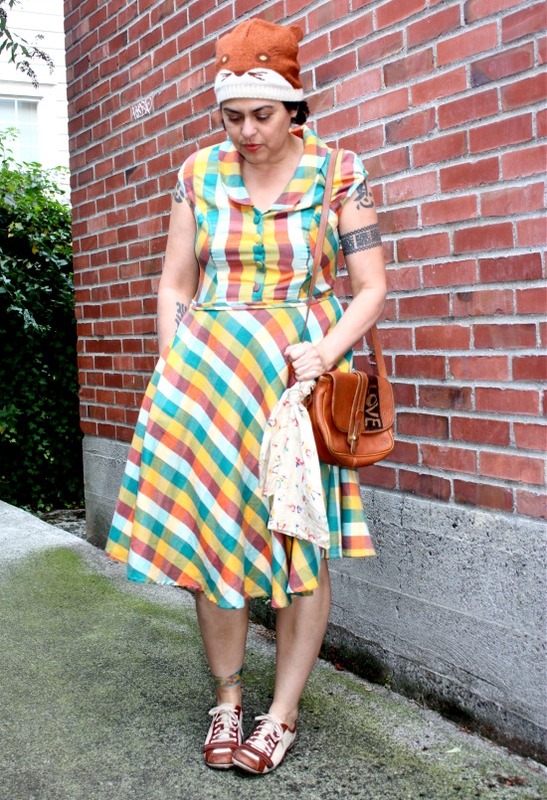 Wearing the perfect frock to bring in Fall- a soft cotton flannel plaid dress from eshakti, a vintage 1940s cowboy print linen scarf, vintage brown leather handbag (made in the USA) and some crazy comfortable kicks by Merrell. And hopefully you're enjoying the fun foxy knit hat that I'm sporting while I wrestle with growing out some unruly hair. We'll be linking up to the official PLAIDURDAY website to join the celebration. Did you celebrate your love of #plaid today? What did you wear? 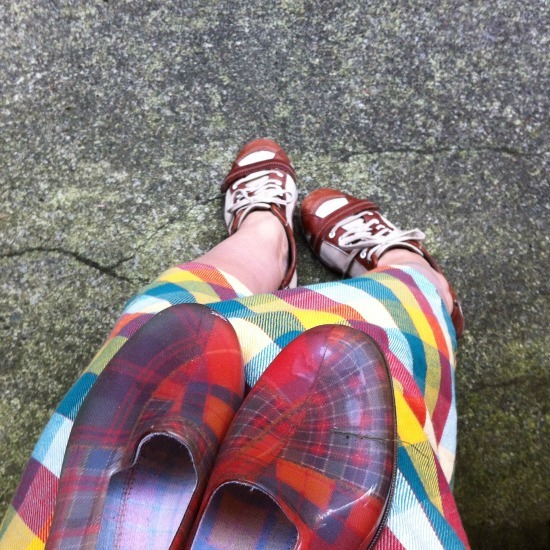 Yummy rainbow plaid! Me loves this outfit! Are you loving outr extended summer and cool mornings? You look darling. Great to see you, Bella! Your dress is adorable and you look great, xox. 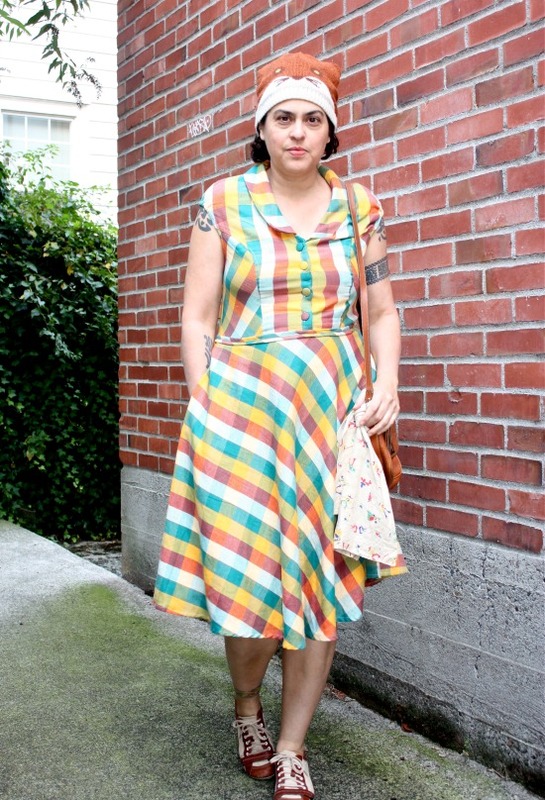 Fabulous dress - I love the print, and colors are great on you! I really love that cowboy print scarf alongside, too. 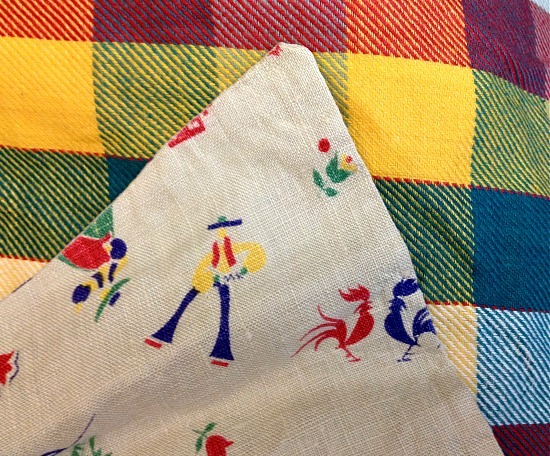 Great pattern mixing vintage kitsch plaid! I love it! Plaid on, my friend, plaid on!